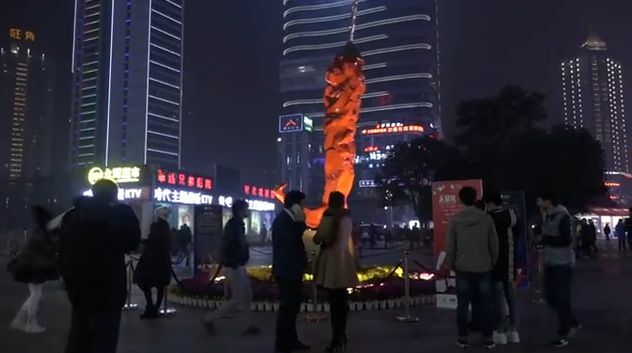 The world’s largest red pepper statue has attracted crowds of onlookers in southwest China’s Chongqing, the Chinese official newspaper People’s Daily reported. Towering 6.25 metres tall in the Jiangbei business district, the red and gold statue is composed of copper, resin and iron. 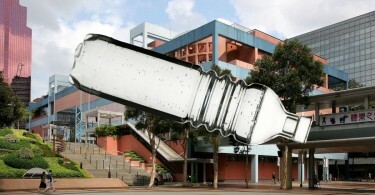 Italian artist Zhu Zhi created the sculpture after his trip to Chongqing in 2014. Zhu explained that the red pepper symbolises fire, joy and celebration. He added that the sculpture also represents the friendship between Italy and China, according to Sina News. The sculpture was first exhibited at Expo 2015 hosted by Milan in July, Xinhua reported. One netizen opined on Weibo: “Creativity is good, but this red pepper looks really ugly.” Another commenter criticised the government for wasting resources and money on the colossal pepper. Italian Consul General in Chongqing Sergio Maffettone was more positive, however: “[I] hope this sculpture would become the new landmark of Chongqing,” he said. 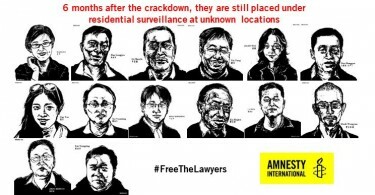 As deadline to charge detained lawyers looms, will Beijing have the courage to reverse course? Bottled drinks but no fountain at plastic waste exhibit: is the Science Museum ‘Out to Sea’?